Officials in Oklahoma will award additional licenses in the coming days and weeks. The Oklahoma Medical Marijuana Authority – the agency overseeing MMJ in the state – has indicated that nearly 500 applications remain in the pipeline. The speed and scale at which Oklahoma’s program has unfolded was by design. There are no caps on the number of MMJ business licenses that can be awarded. Doctors are allowed to recommend the product for any condition they see fit. Municipalities are prohibited from enacting zoning restrictions to prevent dispensaries from opening. Furthermore, the initiative required the state to make MMJ business license applications available just 30 days after the measure passed – a much quicker timeline relative to other states that have legalized medical or recreational cannabis. “State Question 788 is pretty clear that it doesn’t want barriers to entry. It doesn’t want to keep people out,” Norwood said. “It wants people that want to participate in the industry to be able to do so. 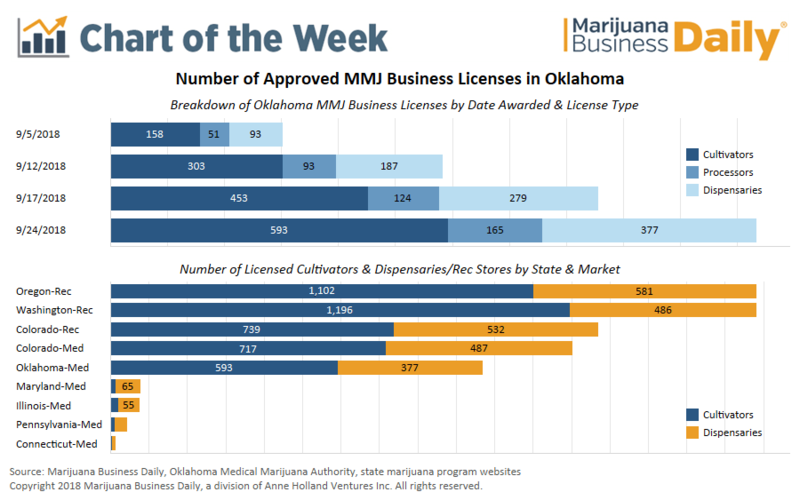 While it’s unclear how many licensees will go on to actually open their doors and conduct business in the state, the launch of Oklahoma’s MMJ market will be without parallel if even a fraction gets off the ground. It also remains to be seen, however, how businesses will fare given such unrestricted access to the market. The wholesale price per pound of MMJ will almost certainly face strong, downward pressure due to the number of licensed cultivators in Oklahoma, which may come much more quickly relative to states where the number of licensed growers increased gradually over time. 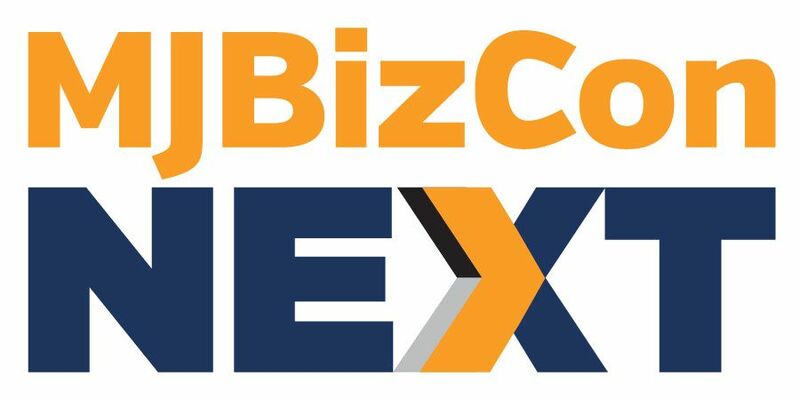 Retailers also could face significant hurdles attracting patients while retaining healthy margins, as price consciousness will lead to many low-cost dispensaries. Furthermore, finding physicians willing to participate could prove challenging for some prospective patients. At least two major health care providers in the state – Saint Francis Health System and Oklahoma State University Medical Center – have said their doctors will not be allowed to recommend MMJ. Despite that limitation, the Oklahoma Department of Health expects to register up to 80,000 patients in the program’s first year. That equates to just more than 2% of the state’s total population, a mark typically reached by successful MMJ programs – such as Arizona or New Mexico – several years after launch. Easy access to dispensaries may serve to boost program awareness and enrollment in Oklahoma, which will be needed if the state is to support such an extensive MMJ industry. I’m willing to bet that 85 percent of the cultivator and dispensary licensees will not renew their license due to failure to start or maintain their business. In CA, most cities still have a clamp down on cannabis operations and they do it through zoning ordinances. Although, there are lots of ways a city can put the kibosh on cannabis ventures. It is clear that their may be an ‘irrational exuberance’ affect infecting the state of Oklahoma as clearly the metrics shown seem to be way ahead of the market’s potential demand. Only those with a clear vision and strong financial underpinnings will likely be around in a few years. Those winning this race with be associated with a strong brand presence and top quality affordable products that meet the patient demand as it evolves although there will always be a few exceptions to this premise. Best of fortune to all throwing their hats in the ring as it will certainly end up being an endurance contest! Unlimited license states, especially on cultivation, have shown it compresses prices on plant material and majority of players won’t make it, just like the others here have mentioned. For investors and entrepreneurs, I feel in states like this, it’s best to sit back and wait 12 – 18 months then jump in when it’s clear what’s working, not working, who will fail and who will succeed. Why wait when the barriers of entry of so easy and cheap. Land is cheap, cost of living is cheap. Ramp up production and prepare to provide for the nation as the country opens up. Ok will be the bud light of cannabis for the country. I would like to find out what are the requirements for growing MM in this great state of Oklahoma. I have a few acres on the edge of the town I live in. I am retired but would like to know the in’s and out’s of running a growing business. What town? Maybe we could start a business. 8 foot fence around all outdoor grows. farm loaded with unlimited spring water and the lad is kissed by the sun . Email me. Yeeeeaaaahhh, good medicalis not grown outdoors. That isn’t necessarily true. In Colorado we have grown great mwdicine outdoors. We prefer green houses but it can be done. The Cities are trying to add their own rules and zoning. I purchased a building in Grove, Ok. Their new rules are keeping me from opening. Also, no grows or processing in City limits. Have you asked yourselves what is the next logical step in the progression of cannabis regulation in the United States? The answer obviously doesn’t lie in our Federal Congress, let’s just get that out of the way. The next step is medicinal cannabis crossing state borders. I know that it’s not “legal” but neither medicinal nor adult use is legal, so what is the difference? It is going to happen in 2019, Oregon is hard at work at it. And once it happens once, everybody who is up and running with a good cannabis operation, will be able to sell nationally. It is already happening outside of the USA: Germany is importing from Netherlands and Canada; Colombia is exporting to Jamaica, Mexico and Canada. It’s already happening. So Oklahoma can very well end up supplying Texas of medicinal cannabis the legal way. Having difficulty locating a physician not held back by clinic regukationa in southern oklahoma any suggestions ? I’m looking to invest. As well as looking for partners, investors, land owners, potential growers, anyone looking to get into the industry.